Odin: I want you to bring me back his ring finger, please. Roddy Piper does good action scenes and bone crunching maneuvers, but not all his films turn out that great. But this one is fun and exciting. 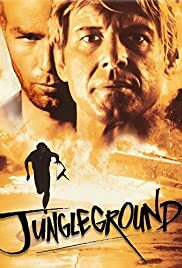 It isnt however up there with They Live, but Jungleground is a good way to kill time watching an action flick.